I am a friendly, professional, fully insured nail and LVL salon based in Bagshot. My philosophy is quite simple, I provide a quality service, at affordable prices, using only the best products and latest technology. So no more traffic queues or town centre parking charges – come to my salon, relax, enjoy free Wi-Fi, tea or freshly brewed ‘bean to cup‘ coffee or simply let me come to you. Then enjoy the personal service of an experienced nail technician. Why not treat yourself to a quality Manicure or Pedicure, add Gel Polish for a touch of lux and lasting wear of 6-8 weeks on toes and up to 3 weeks on hands! 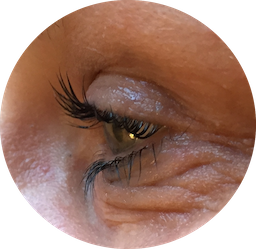 Length to your natural lashes. With over 100 Gel Polish colours to chose from, along with the very latest effects, such as Chrome, Metalics, Magpie Glitters, Dusts and Pigments , along with genuine Swarovski crystals for a touch of luxury. All starting from just £28 including removal! So why not start looking good in no time at all…. Available in clear, classic French, various colours, glitters, crystals or effects……There is a finish to suit everyone. All photo’s on my website are my own work, I don’t use paid for photo’s or images. Thank you Natalie for my lovely nails. I got my toes done for my holiday in Florida last year and have been back several times. There’s a great choice of colours, the first time I had a red gel with glitter added to create a bit of something special. Since then I’ve chosen different colours to match my outfits for special occasions or just chosen something fun for summer. Natalie always has a good selection and keeps up to date with the current trends. Thanks so much Natalie for your professional and friendly service!! I had my toe nails done before my holiday abroad over the Christmas period and they are still looking good in January!! Excellent! I will definitely be back again soon. 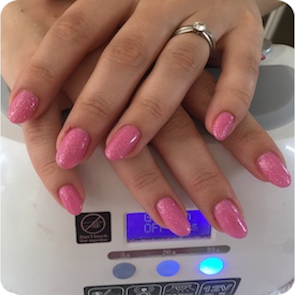 Natalie is a talented nail technician; Gel-Ignite offers a professional, friendly and reliable service, creating beautiful nails. 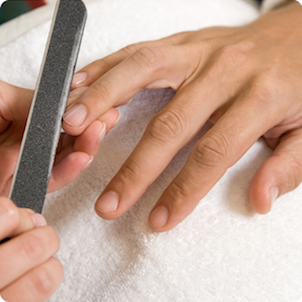 Natalie always has time for you and if you need a nail repair she is happy to assist quickly. There are a wide range of colours and nail art to choose from, something for everyones taste, whatever the occasion. I am always very delighted with my nails on every visit. 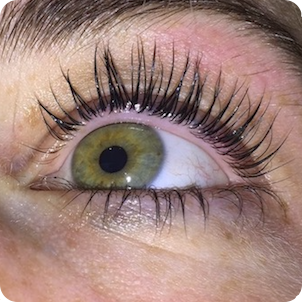 I’m so pleased that Natalie is now doing the eyelash lift and tint and eyebrow tinting. I’ve been going to her just for my nails which are always amazing, but going elsewhere to get my eyes done – I can now get it all done at the same time in one place!! Very pleased – thanks so much Natalie!! My first appointment today, fantastic nails!! Natalie is so welcoming, lovely home brew made before getting down to business. Natalie really knows her stuff and left me with exactly what I was after – definitely coming back and this time will try the Hazelnut & Cinnamon coffee. Lovely first visit – fab nails and a lovely cup of tea to boot! Natalie is fabulous. I found Natalie this summer and have been using her ever since. My nails are always immaculate. She uses brilliant products – no harsh chemical smells. I love that she is mobile too, so its good for busy mums and workers who don’t get the time to go to a salon. Overall great service, great products and great company. Always had wonderful advice and nail treatments here. Would highly recommend Gel-Ignite Nail Technician for a friendly and professional service. GOLD STARS ALL ROUND FOR NATALIE Apart from doing an excellent job with my nails Natalie is very responsive to appointment requests and emergencies. 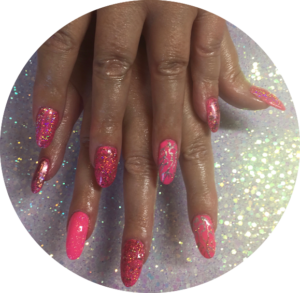 Natalie has a very large range of colours, glitters, foils and gems and isalways willing to try something new on your nails. Natalie provides good value for money. I would recommend Natalie without hesitation.